All you need is some art from the frig, an empty snack box, scissors, tape and glue. 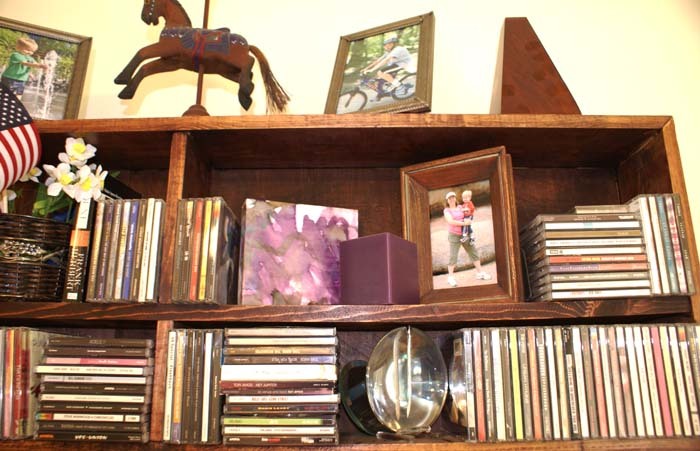 Some Mod Podge would be helpful too, but you can either skip that step or fake it with watered down white glue. Please note: If you don’t have the above supplies handy, I’ll have to ask you to turn in your Mom badge. First, I need to give credit to Creme de la Craft who did a grown up version of this idea. 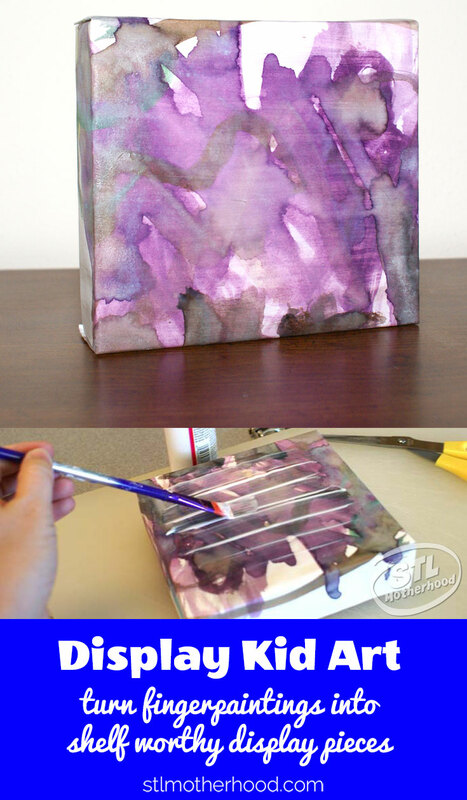 She used grown up art (decorative paper) and shoe box lids for her mock canvas. 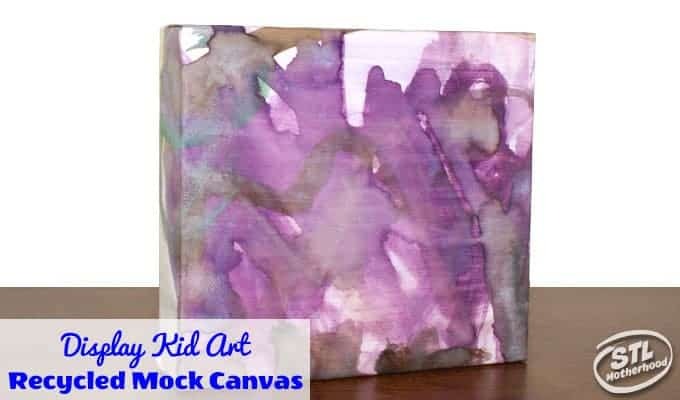 For our Mock Canvas Art, you’ll need something your kid painted–I think a nice little kid abstract works nice. Mitch used to crank these out by the boat load in pre-school! And yes, that is an authentic Mitch fingerpainting from 2011. No, I didn’t just dig it out of the basement. This post is recycled too. 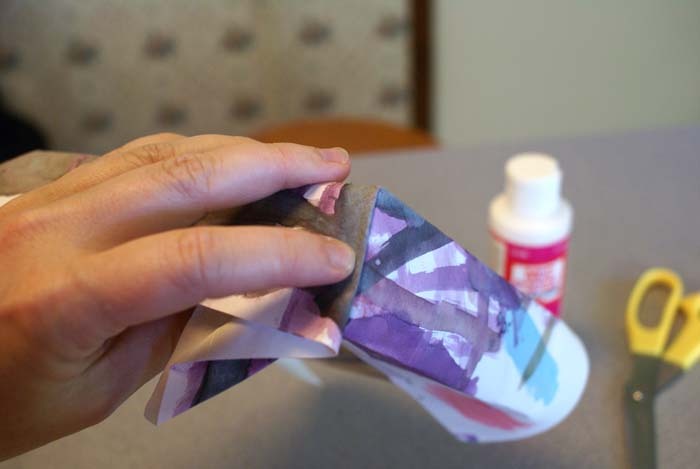 This is more of a “mom craft” if you have preschoolers, but older kids can have fun making this too. 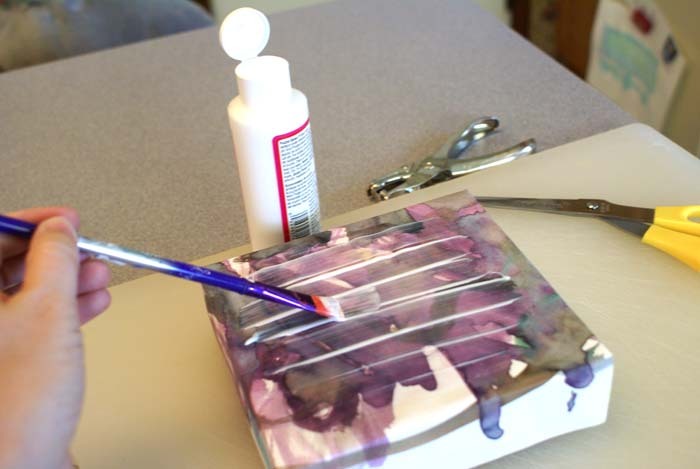 Older kids can make a water color or impressionistic piece just for the project! Next, you’ll need a small box. I used one from granola bars, they’re just about perfect to wrap with art made on standard 8×11 paper. Then you’re going to punch a hole in the back of the box if you want to hang it. After that, seal up the box with tape. 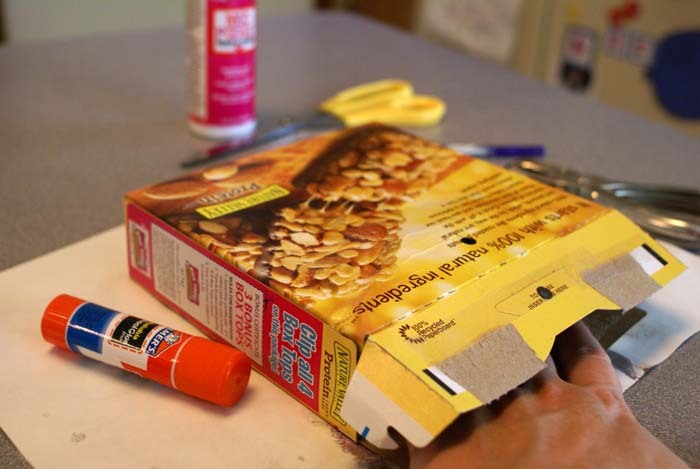 The hard part is next–you need to glue the art to the box. I covered the top of the box with a glue stick (it doesn’t wrinkle paper like white glue) then wrapped the art around the box. Crease the paper where it need to fold over the edges. I think I may have resorted to double sticky tape to hold it in place, but I lack patience when crafting. The last step is to cover it in Mod Podge, which seals the finished project and gives it a nice professional looking shine. Please note: if you want to use diluted white glue please test it on a corner of the art first–I’d hate for you to find out the water-glue reacts poorly to your child’s art medium by making it run.